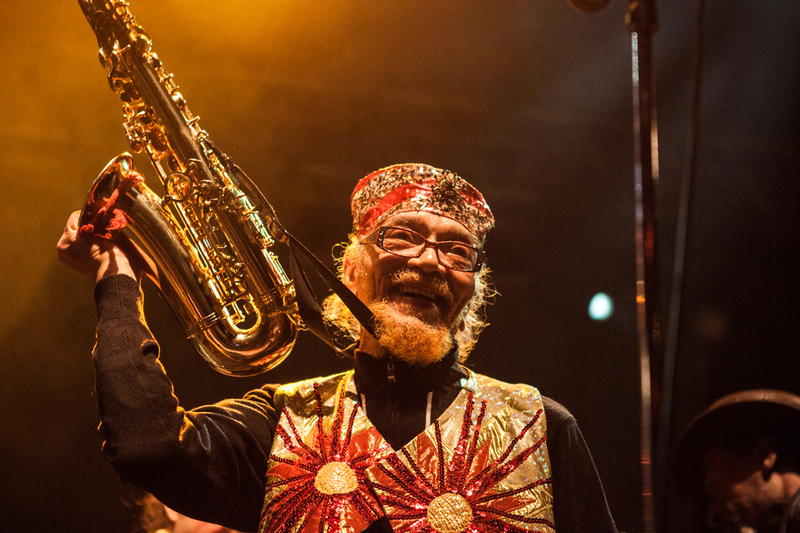 The legendary Sun Ra Arkestra isn’t so much an ensemble as it is an ideology passed on from generation to generation. Vulture has created an extensive guide to Sun Ra, highlighting various periods and albums and the evolution of his cosmic jazz. Read the guide in full here. "While the man born Herman Poole Blount in Birmingham, Alabama (though he would later cite Saturn as his true home), left his terrestrial form back in 1993, the influence of Sun Ra on musicians both hugely popular and deep underground is so vast that his gravitational pull goes well beyond the confines of jazz music." Sun Ra Arkestra perform at Le Guess Who? 2017 on Sunday, 12 November. Also appearing at the festival are a.o. Pharoah Sanders, Shabaka & The Ancestors, Linda Sharrock, Maâlem Houssam Guinia, and The Ecstatic Music of Alice Coltrane Turiyasangitananda performed by the Sai Anantam Ashram Singers.